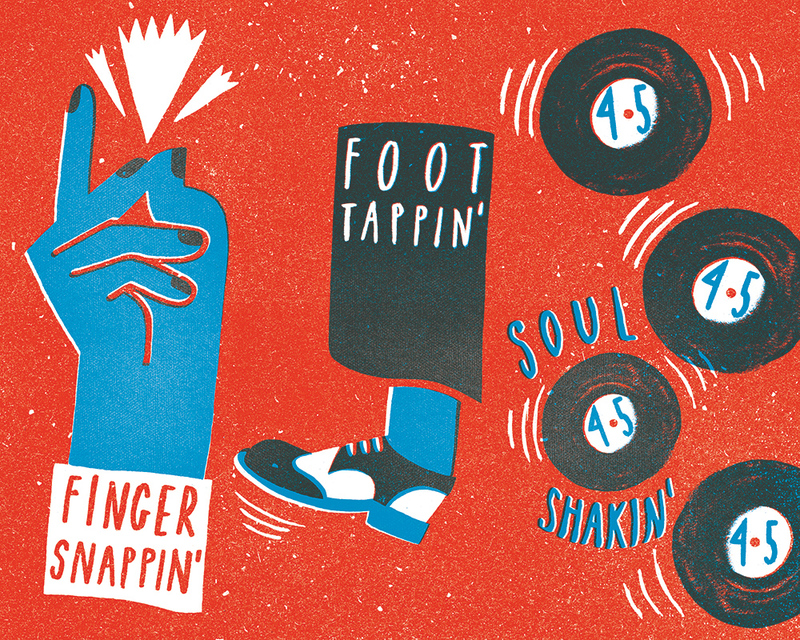 The Gallimaufry commissioned an illustration for their weekly rhythm and blues night. 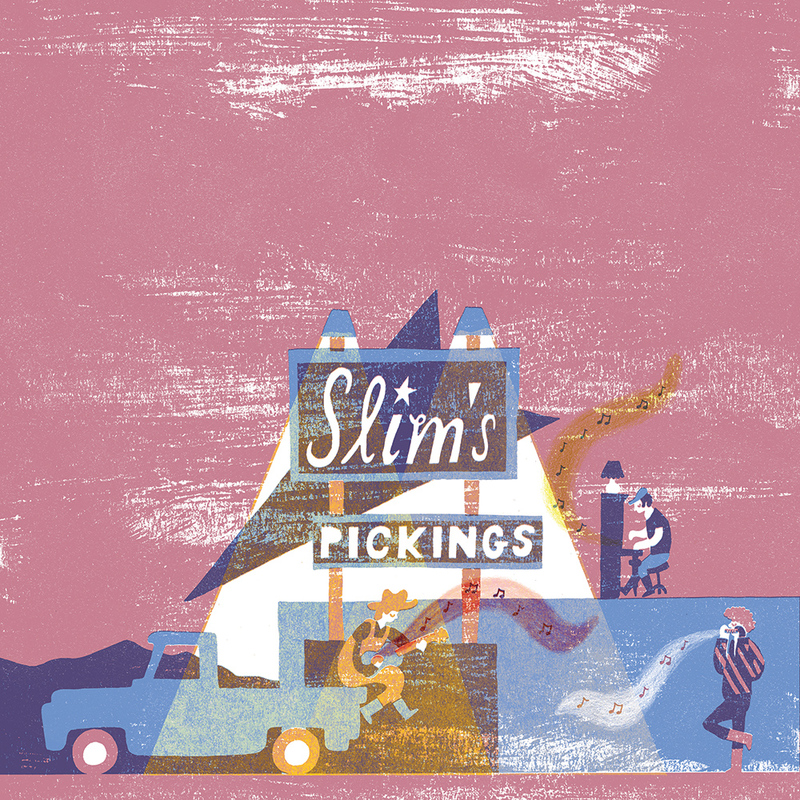 Themes of Americana, road trips, musicians and signage were suggested and this was the result. 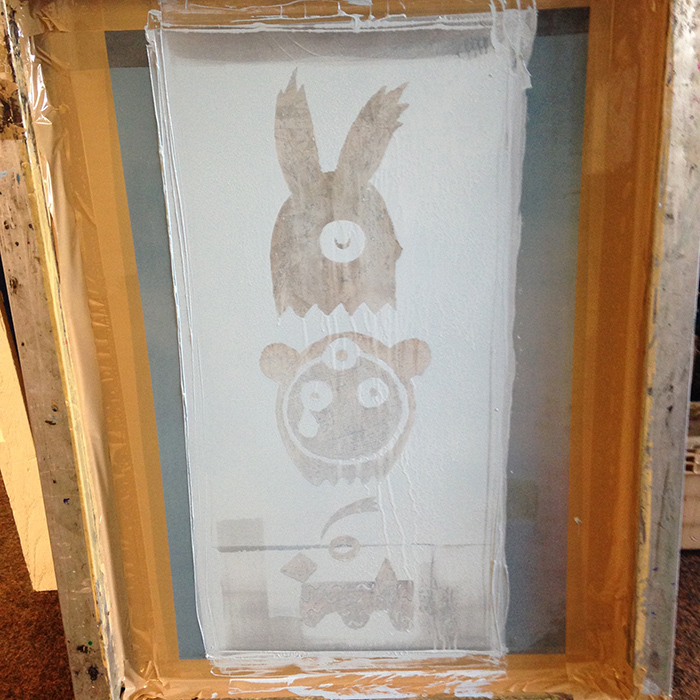 I focused on a limited palette, building the main core of the image as I would when creating a screen printed image. I love when illustration and music come together. Today is a nice example of that. Later tonight, The Gallimaufry host their 3 year party and have invited Mo Kolours to DJ as part of it. To celebrate I had the pleasure of taking a few of the masked characters I've previously created for the Galli and combine them with Mo Kolours' album character to form the key promotional image. 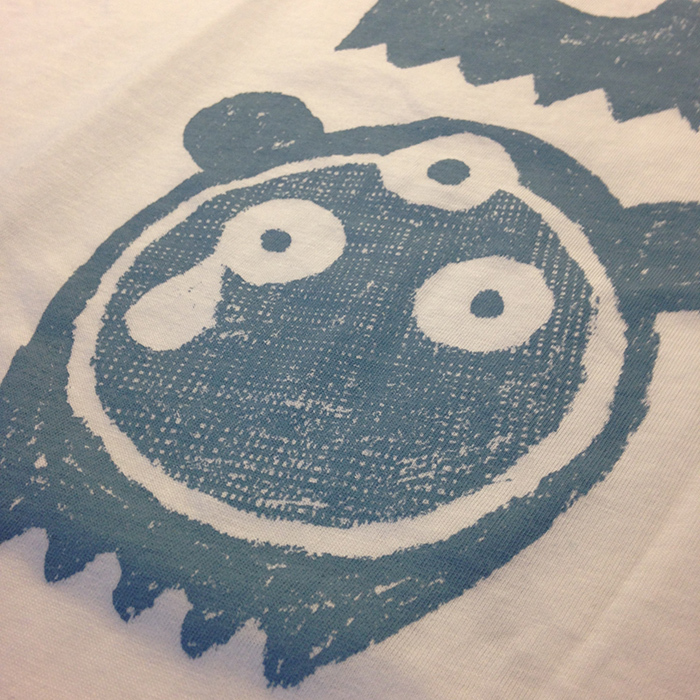 For extra fun, I screen-printed this tee in a limited run for loyal/keen supporters at the dance. Running now for a number of years, The Bristol Palestine Film Festival is an in-depth showcase of film-making from up-and-coming directors, as well as digging deeper for film reels from past decades. Previous festival imagery was created by the talented - and also Bristol-based - illustrator Aurelia Lange who delivered a stunning set of delightfully loose and engaging illustrations, which focused on Palestinian landscapes and the process of watching a film. This year the festival wanted a change in direction with their imagery and so I was commissioned to create an illustration that has a greater focus on the human nature behind the films, picking up on themes of gender, expression, identity, power, choice and autonomy. By focusing on a female character confidently posed and in a head-dress, this hints at the festivals themes. And by having the head-dress constructed out of film-roll this is enough of a visual indicator to the nature of the festival itself. I choose to keep the image very raw in construction, with obviously hand-drawn lines, rendered in a rough, immediate and textured way, to further emphasis the conviction and independent spirit behind many of the films to be shown. The festival is held across various locations from 3 - 16 December in Bristol, with full programme announcements on their Facebook page and website in November. It’s promising to be an incredible line-up of films, talks and discussions, so do take a moment to check out what’s happening. I've had my head down for the best part of the Summer working on a few things that I can hopefully shout about later this year. In the meantime, here's a quick project I enjoyed collaborating on with studio buddy and quality graphic designer, Dan Hayman, back in July. When I'm not in my studio, you can often find me digging for records and sometimes even playing them in some of Bristol's bars and clubs. In July, myself and a few friends were invited to put on a night at one of Bristol's legendary underground spaces - Cosies. Dan and I took on the task of designing a poster for the night, which was covering all things disco, house and electro. After some thought, we decided it'd be quite fun to go for a tongue-in-cheek approach by creating a marvel-comic-book-superhero inspired look to go with the outlandish title of the night. I sketched up a character in this style - taking classic elements from super hero poses and combining them to form the "Supersmash" heroine. 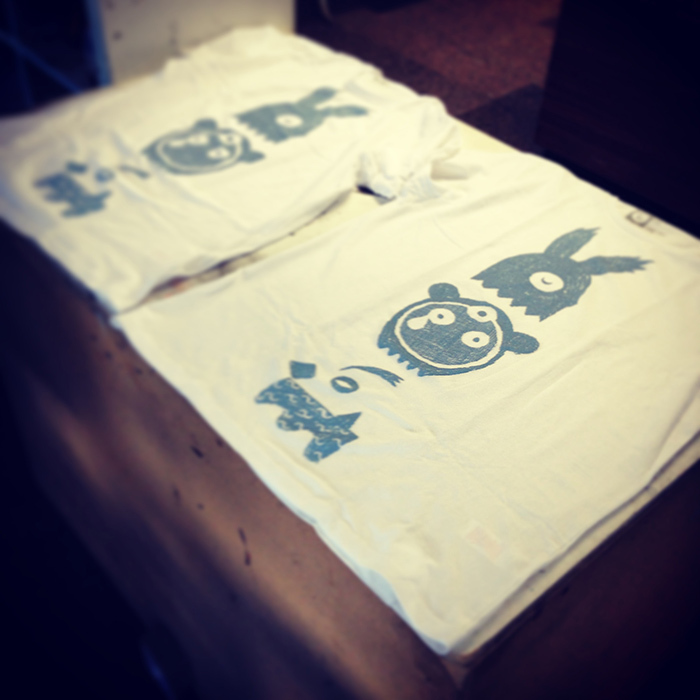 We had also decided to produced a small run of screen-prints to give away to early arrivals, on the night. This limited our colours to two and with one being a punchy black, I introduced some half-toning to give the figure extra depth, with the orange colour picking out clothing and other elements across the design. I then passed this illustration over to Dan who worked on the text, layout and background "burst". 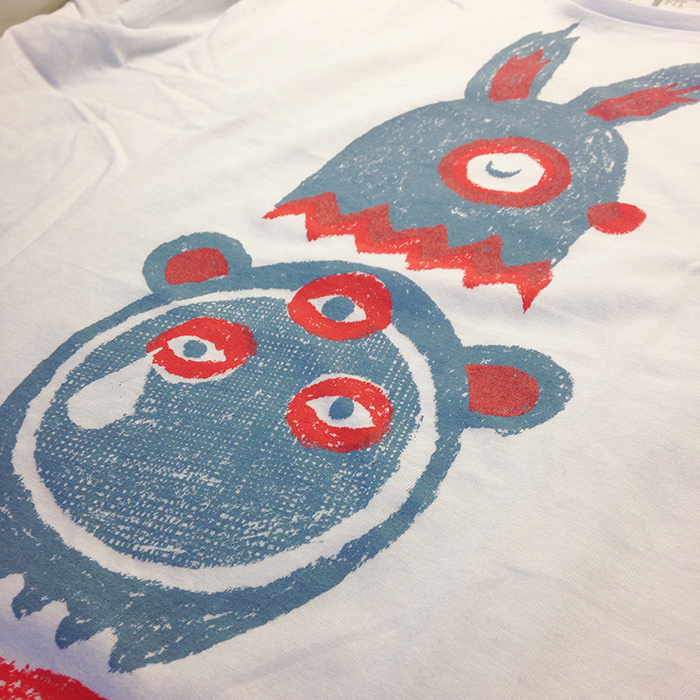 We then spent an evening screen-printing the finished design out. The Gallimaufry set me a good challenge last week to design and illustrate a poster advert for their Monday night Open Mic, hosted by the incredible Jay Wilcox. The challenge soon became apparent when I started to research and think about the various ways to clearly advertise such an evening, that has such a well-recognised premise. Internet hunting quickly revealed that the common-place open mic event has a pretty appalling repertoire of badly designed posters. Perhaps due to quick designs in Word or Paint and possibly on the cheap by a pub owner! Obviously, I wanted to avoid that and any obviously easy solutions. The Gallimaufry's open mic is open to all manner of musical styles, with the most common place item being the microphone itself. I wanted to figure out a way to integrate the microphone into the text and immediately began to think of the "i" in "mic" being an obvious letter to replace. At first I thought about the microphone being attached to a stand or having the connecting cable coming out of the bottom of it. However, both those options seemed to be quite cold and impersonal. I'd been provided with a snappy line of copy about the offer for those who take part: "Play us a song or 2, have a drink on us if you do." This informal phrase felt very much like something you might have scribbled down or been passed on a scrap of paper, which led to a thought about bringing the individual directly into the poster design, with one hand clutching such a note and the other the microphone. 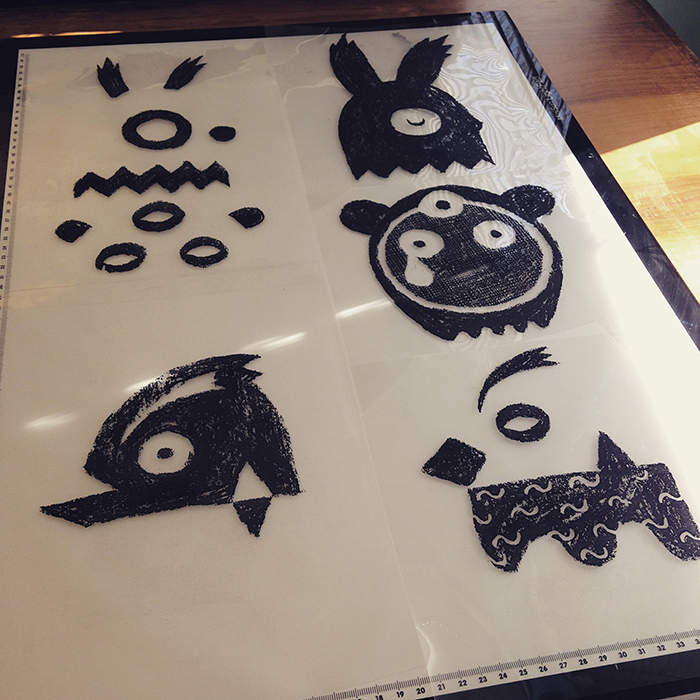 After that the rest of the design came together very quickly. I drew out the hands, adapted a standard photo of a microphone, adding a circle around the microphone head to form the 'O' in Open and after sketching out some small design thumbnails composed the final design layout - incorporating The Gallimaufry colour palette, logo and address footer. Layouts where the text was on a horizontal axis made the composition look stilted and stiff. So, to encourage the interaction between the drawing and the type, I deliberately slanted the key elements of the design within the A-size advert. This also helped add a level of informality - an important attitude for any good open mic to adopt, being as it is often the platform for many a debuting musician. Doing this job reminded me of this great TED talk I'd listened to recently, featuring a brilliant song to conclude. 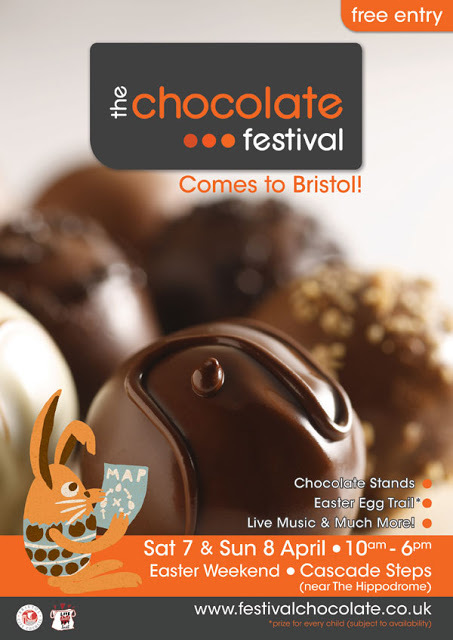 Earlier this month I did a spot of design work for Bristol's first Chocolate Festival. 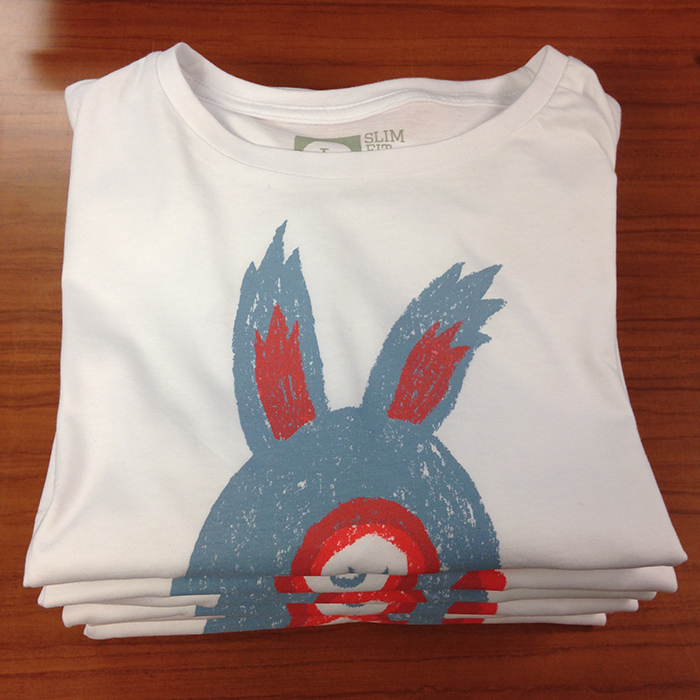 One aspect of this design was to come up with a simple illustration of an Easter bunny, that could also be turned into a cut-out toy. This was a great challenge and it was fun seeing the various ways the bunny was used across media and in local press coverage.